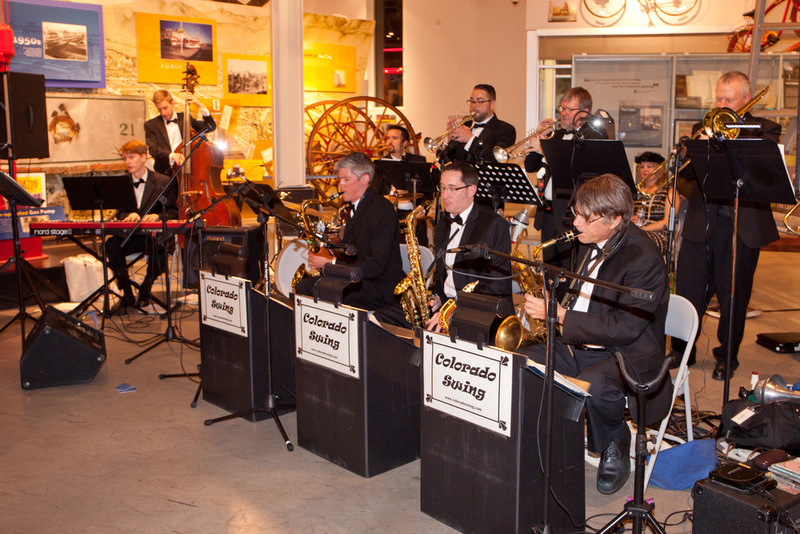 The Time Travelers Ball is a fundraising event held by the nonprofit Poudre Landmarks Foundation. The Poudre Landmarks Foundation's mission is to preserve, restore, protect, and interpret the architectural and cultural heritage of the Fort Collins area. Time Travelers Ball Returns For 2019! The Time Travelers Ball is back! Join us on Saturday, April 13 2019 as the Time Travelers Ball returns to the Rio Grande Agave Ballroom! Buy tickets online at poudrelandmarks.org. Proceeds from this event go toward the nonprofit Poudre Landmarks Foundation’s mission to preserve, restore, protect, and interpret the architectural and cultural heritage of the Fort Collins area. 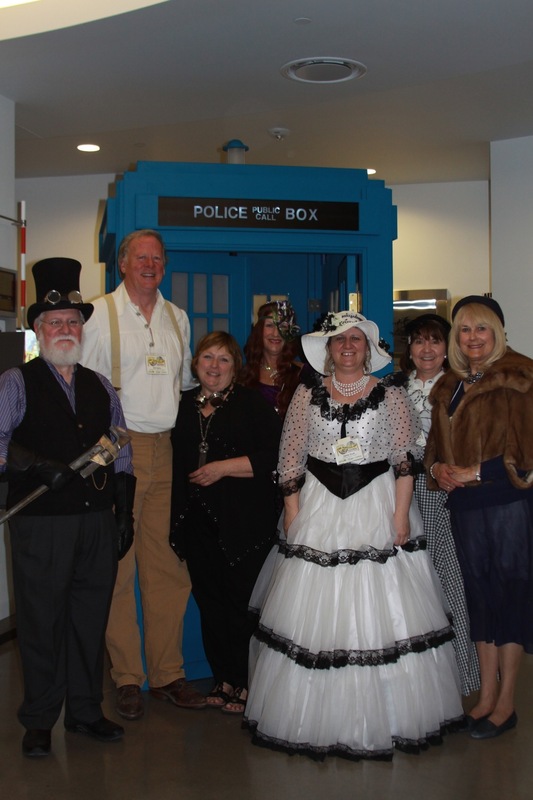 Time Travelers gathered for a festive evening at the Ball on April 1, 2017. 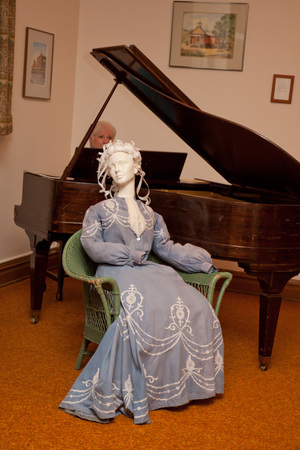 Costumed guests enjoyed live music from Weekend Weather, dancing, food and drink, a vintage clothing display, contests, a silent auction, and general merriment. 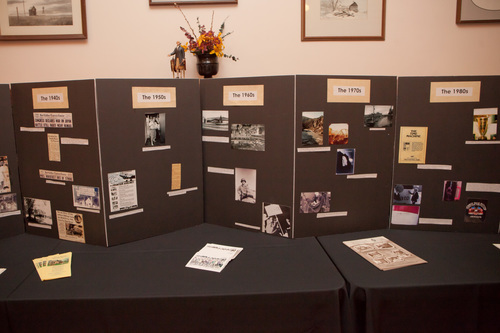 The event ignited imaginations and provided a unique experience for history and time-travel enthusiasts. 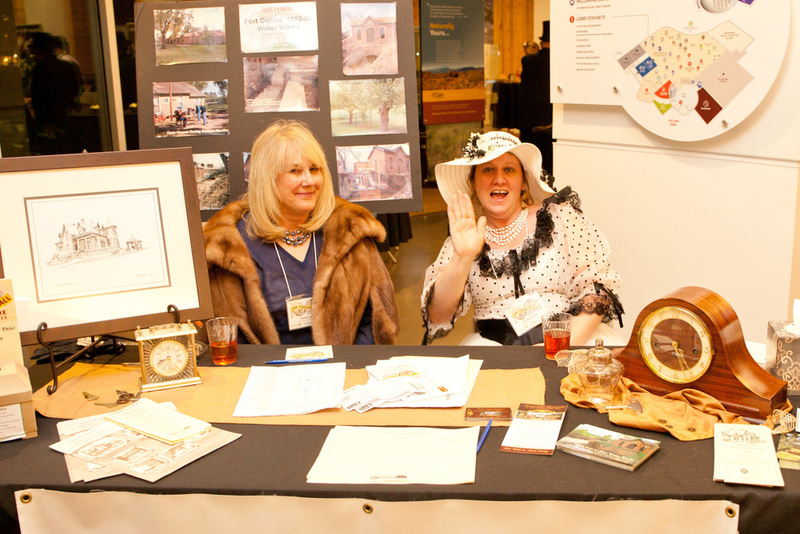 Proceeds from the event benefited Poudre Landmarks Foundation’s mission to preserve, restore, protect, and interpret the architectural and cultural heritage of the Fort Collins area. 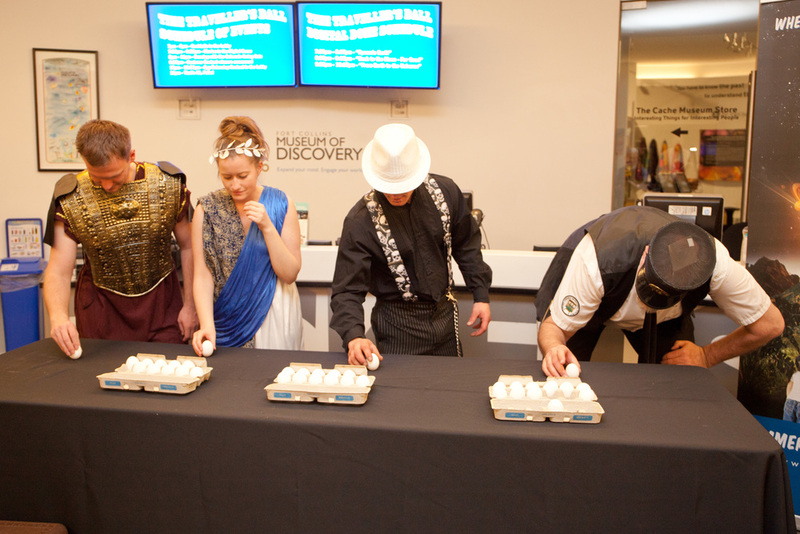 The Time Travelers Ball: Equinox Adventures welcomed guests from across time on March 19, 2016, at the Museum of Discovery. 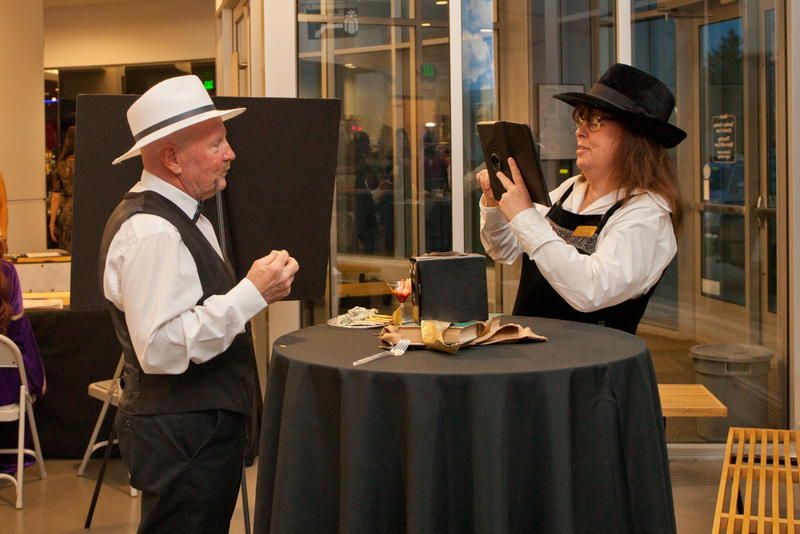 Guests enjoyed a reception in the museum lobby and café with hors d'oeuvres, desserts, and a cash bar. 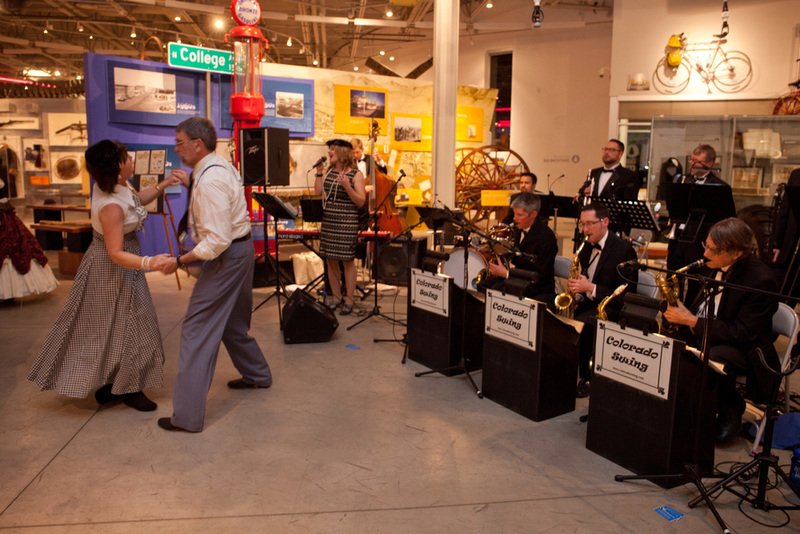 At 8 p.m., guests entered the museum exhibit space to dance among the exhibits as the Colorado Swing Cats band played. Throughout the evening, guests were invited to step in to the OtterBox Digital Dome Theater to watch space-inspired movies. 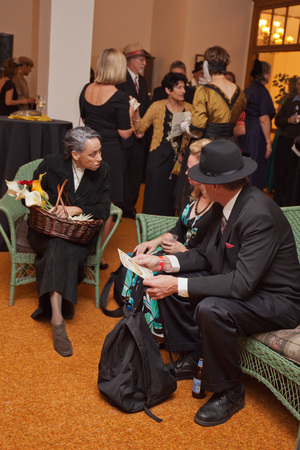 Costumes were optional, and many guests took advantage of the opportunity to don fun and elaborate costumes. Several lucky attendees were winners of the costume contests. A full-size Doctor Who–style "TARDIS" time machine served as a photobooth and was a big hit! The equinox's reputation as being the best time-travel date seemed true on this auspicious evening. 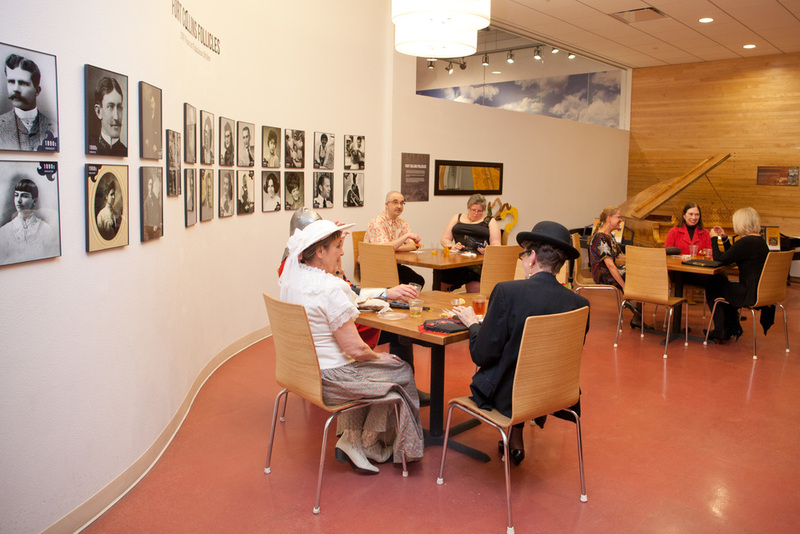 Proceeds from the ball go to PLF's mission to preserve, restore, protect, and interpret the architectural and cultural heritage of the Fort Collins area. A complete album of photos from the 2016 ball is posted on a separate page. 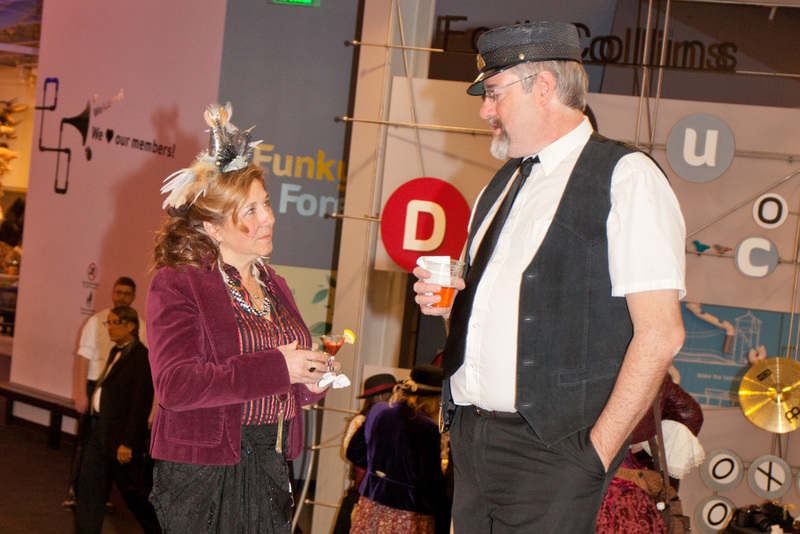 The Time Travelers Ball, held on October 18, 2014, was a big success, with costumed attendees, dancing, live orchestra, activities, and merriment.